What Is HTTPS (Hypertext Transfer Protocol Secure)? ∟What Is HTTPS (Hypertext Transfer Protocol Secure)? This section describes what is HTTPS (Hypertext Transfer Protocol Secure) - A communication protocol that uses the HTTP and the SSL/TLS protocols to provide encrypted communication and secure identification of a Web server. What Is HTTPS (Hypertext Transfer Protocol Secure)? HTTPS is a communication protocol that uses the HTTP (Hypertext Transfer Protocol) and the SSL/TLS (Secure Sockets Layer/Transport Layer Security) protocols to provide encrypted communication and secure identification of a Web server. Web server authentication - The browser ensures the identity of the Web server by validation the server's certificate against the certificate of the CA (Certificate Authority). Communication privacy - The browser uses the public key included in the server's certificate to encrypt a secret key to server. All data exchanged between the server and the browser will be encrypted with the secret key. 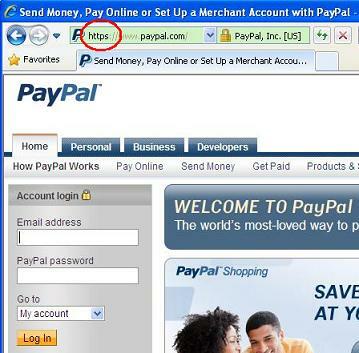 When you visit a Web site and you see the Web address starting with "https://...", you know that the Web site uses HTTPS. If you trust your browser and trust the CA, you can trust the HTTPS communication and exchange private information with the Web site without any security concerns. Here are RFC (Request For Comments) documents on HTTPS, HTTP and SSL/TLS: RFC 2818 - HTTP Over TLS, RFC 2616 - Hypertext Transfer Protocol -- HTTP/1.1", RFC 5246 - The Transport Layer Security (TLS) Protocol - Version 1.2". ►What Is HTTPS (Hypertext Transfer Protocol Secure)?